Benard, aged 13, works 15 hours a day at a grocery store - from 08:00 in the morning until 11:00 at night. He only gets paid $50 a month, never gets a week-end off and yet he still considers himself to be one of the ‘lucky’ ones. â€œI didn’t have three meals a day when I was living with my poor parents in my village. Now I have food, shelter and even some money left over at the end of each month,â€ he said. Moleen, a fruit and vegetable vendor and mother of five believes that her girls probably view their own fate in a similar light. Her daughters, who should ideally be in school, work as house maids in Harare because their mother can no longer support her family. â€œI am unable to work regularly due to health problems. The monthly earnings of my two daughters amount to $100 dollars and helps the family to survive,â€ she said. Poverty is the root cause of child labour and experts say this is the reason why there is no immediate prospect of this inhumane practice being eliminated any time soon. â€œPoverty remains very high.Â There is no chance of eradicating the practice of using child labour where more than 50% of the total population lives below the poverty line,” said a local labour expert. Research indicates that approximately 13 million inhabitants of this impoverished country live in extreme poverty. Still, experts are adamant that this fact should not be used as an excuse for slackening the effort to prevent children from taking on hazardous work. Experts add that more measures to limit the number of families dependent on their childrenâ€™s incomes should be put in place. With already nearly 1.5 million child workers between the age of five and 14 being exploited, it is high time the government introduce a comprehensive programme to address this social scourge. Research reveals that the average citizen seems content to rely on the government’s present piecemeal efforts that does very little for too few children. Indeed, experts advise that most of the efforts to abolish child labour are initiated by Non-Governmental Organisations (NGOs) and international charity groups. In many slum households, childrenâ€™s wages make up a third of the family income. Only a few child workers are found in urban areas. The majority are in the rural areas. It is high time that a nation-wide advocacy and awareness campaign against child labour is launched. Section 11 of the Labour Amendment Act gazetted recently states that: ‘This clause sets out the minimum age in which a young person may engage in work as 16 years in terms of the Labour Act (Chapter 28:01) and the Manpower Planning and Development Act.’ (Chapter 28:02). The draft labour bill outlaws the employment of children under the age of 16, but experts point out that the law covers only the formal sector where a mere 4% of child labour is found. 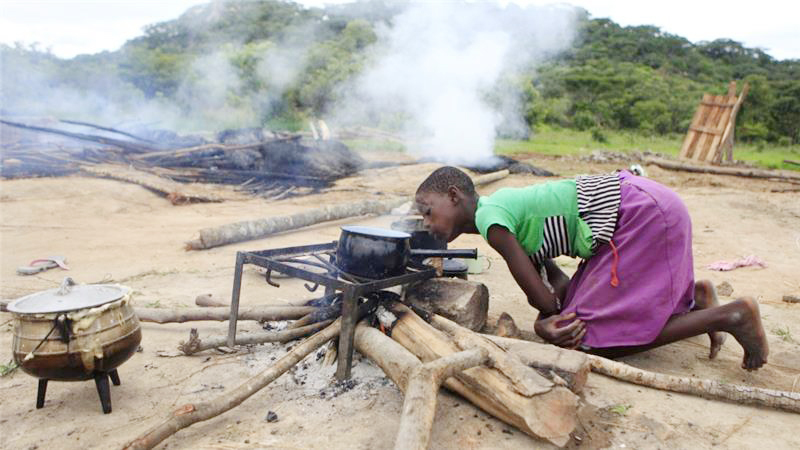 The implementation of this bill also leaves much to be desired as most of the children who need protection are believed to work in the informal sector or in factories, shops and markets near their homes.